Visit the Guinness Storehouse and blow off some steam in the “Gravity Bar” with magnificent views across Dublin. 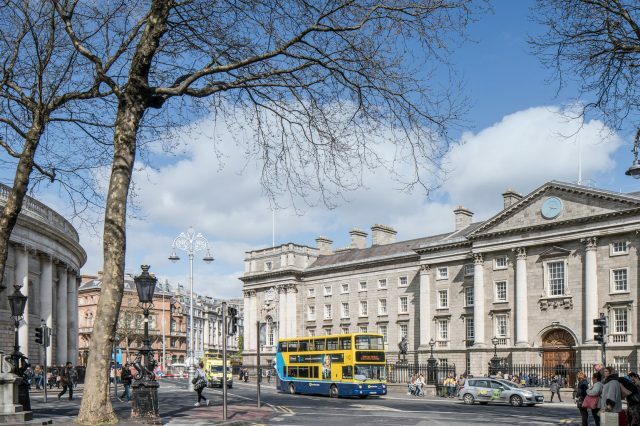 National Museum of Ireland, step back in time and travel through the history of Ireland and this museum. Founded in 1592 – Trinity College this is the oldest college in Ireland. Walk around the courtyards and experience the “Long Room” and the book of Kells. St. Patrick’s Cathedral was built in 1911 and has since been a focal point for tourists and locals. The cathedral remains a place of worship but can still be visited for sightseeing. Dublin Castle is over 800 years old and is an attraction that is not to be missed. The historical site is open 7 days per week and is about a 20-minute walk from the hotel. To make a booking please click here to check out our availability.